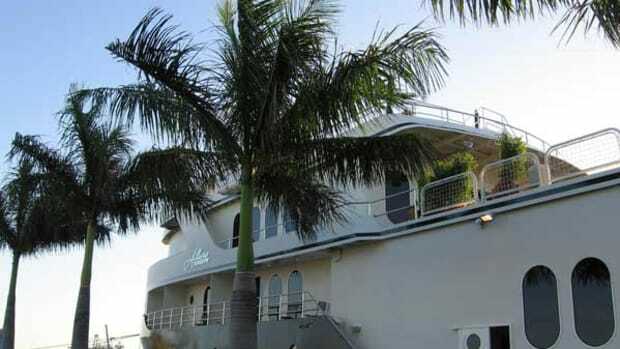 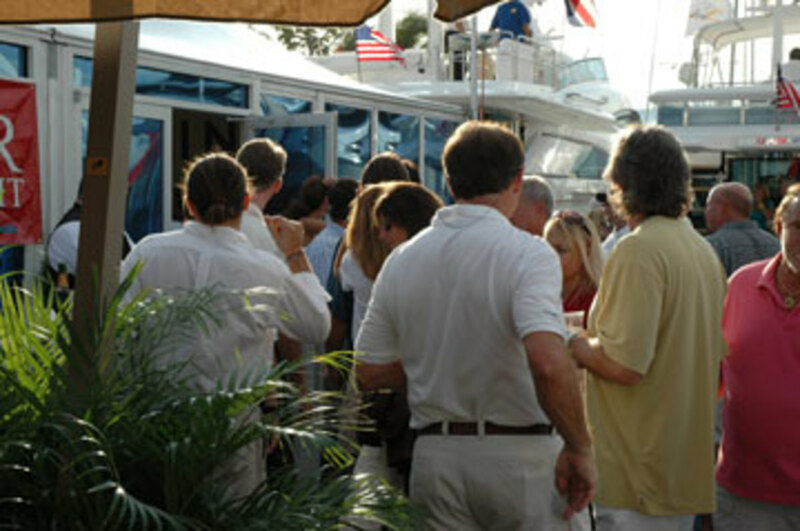 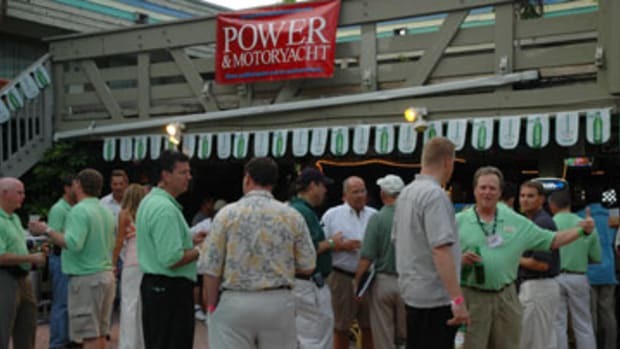 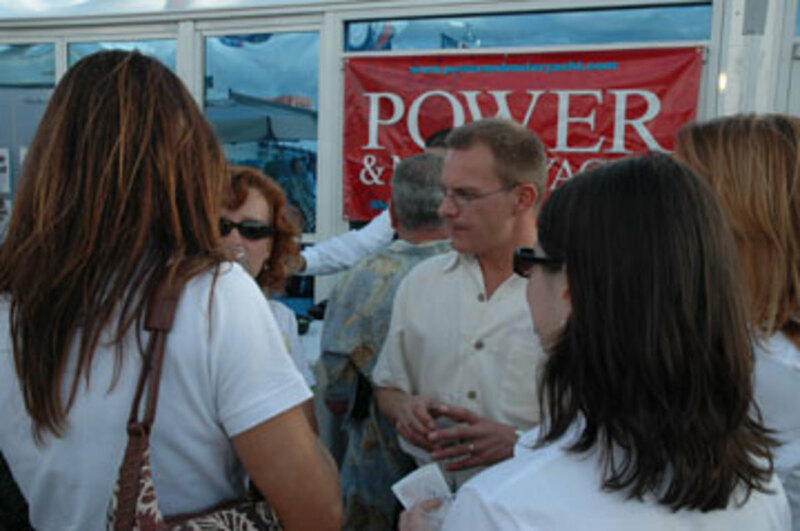 Guests mingle at the Fairline cocktail party sponsored by Power & Motoryacht and The Harborage Club at the 2006 Fort Lauderdale International Boat Show. 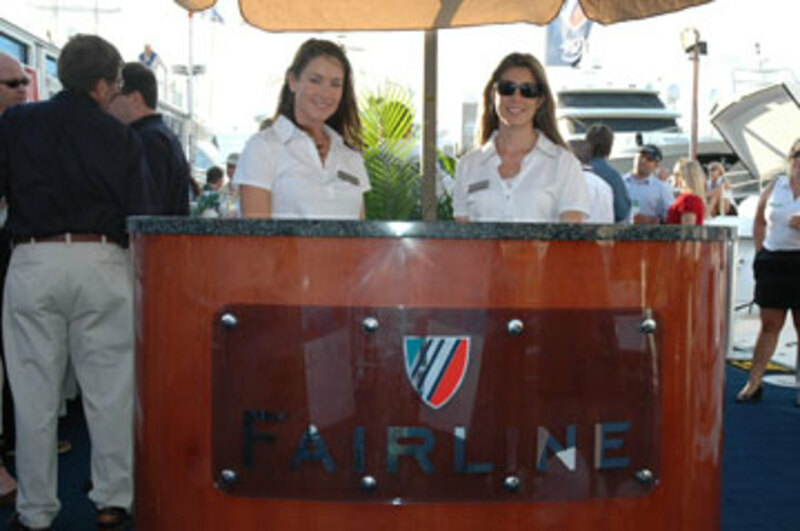 Fairline employees welcome guests with smiles. 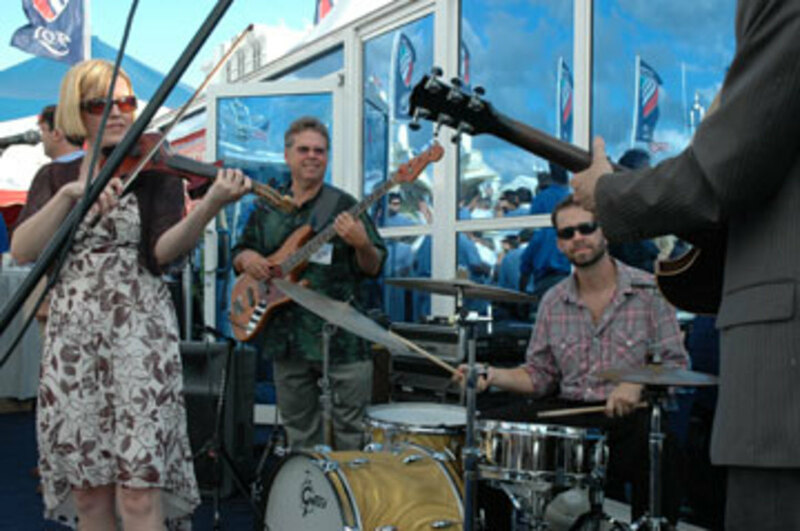 The band keeps everyone grooving. 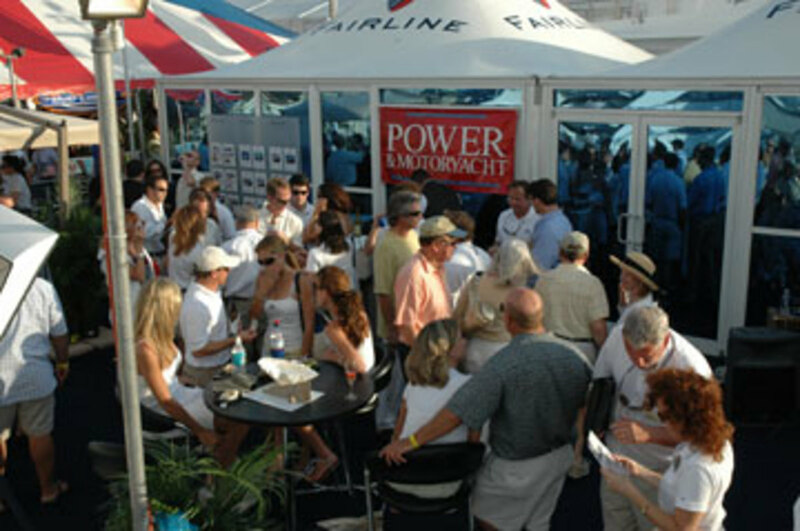 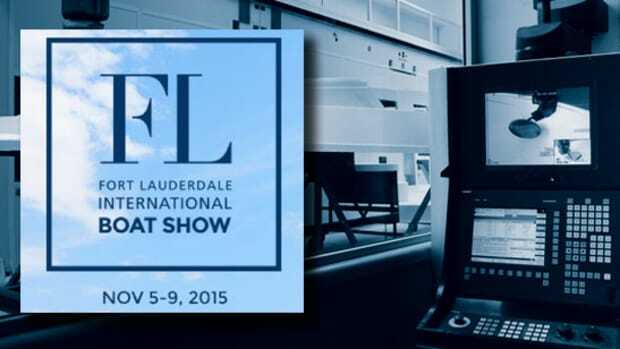 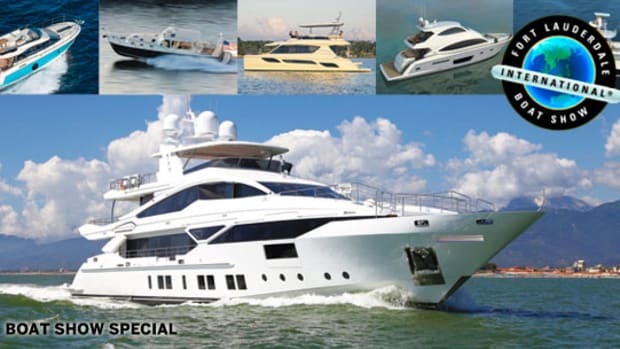 PMY and Fairline employees discuss the boat show. 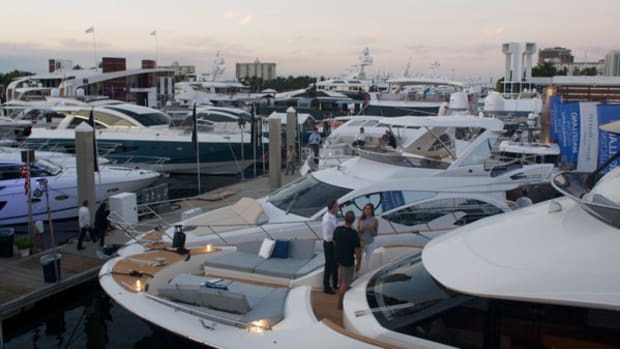 A bird&apos;s-eye view of Fairline, The Harborage Club, and PMY VIPs enjoying the festivities.